Mitchell Johnson may only have grown the latest addition to Australian Cricket History for Movember, and raising awareness for men’s health, but for the campaign to reclaim the Ashes – and the love of all things good – his new handlebar has to stay. 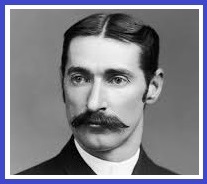 From its very beginnings, cricket has needed its facial hair – especially among the fast bowlers. A quickie with a mo means business, no double entendre intended. Something about the look evokes fear, and adds menace to the fizz of the bullet as it passes the nose. Australia’s Fred ‘The Demon’ Spofforth was the first in a long list that includes Dennis Lillee, Richard Hadlee, Sarfraz Nawaz, Ian Botham, Malcolm Marshall, Kapil Dev, Michael Holding, Merv Hughes, Curtley Ambrose, Courtney Walsh, Jason Gillespie and now Mitchell Johnson. Add up those wickets, bouncers, and the bruises inflicted by them, and cogitate upon that one. Brett Lee was quick, but he didn’t look evil – a significant shortcoming. Jeff Thomson at least made up for his lack of coverage with a nice line in talking about blood on the pitch. He also caused so much physical pain and shell-shock that he didn’t need a mo. And he had Dennis Lillee up the other end, snarling away through the best moustache that ever graced the upper lip of a speedster, and a hairy chest to match it. The moustache is such a part of fast bowling history that it must have caused some psychological trauma to see Johnson following throw after having sent one down at 150kmph, while looking like an outlawed bikie. Indeed, the moustache even makes his tattoo sleeve seem logical. The combination of tatt and mo suggests two things to the English batsmen; Johnson could either cut their toes off, or send their middle stump cart-wheeling – it’s their choice. If Michael Clarke wants to make the leap from great cricketer to Legend, he could do a lot worse than follow the example of Johnson – or for that matter Warner – and adopt some facial growth of his own in the quest to reclaim the urn. There is a historical precedent. Both Ian Chappell and Allan Border – two great Aussie Captains with moustaches – took over from clean shaven men, and then surrounded themselves with others that were equally hairy in an effort to bring back a much needed dose of mongrel. It worked both times. The sensible no nonsense mo David Warner is sporting – as opposed to the tongue-in-cheek cartoon-villain number he had earlier in the year – is an indication that he is taking the mo, and his game, far more seriously. Perhaps Boonie drew him aside after the recent fiasco in England, cracked open a tinnie, and told him the secret behind the legend: in VB veritas, in moustaccium sanitas. Whatever led to the current mauling of the auld enemy at the Gabbattoir – and my word, it warmed my heart – the Aussies need to continue it in Adelaide, and beyond. The best thing they can do is chuck out all the razors.